Today we will learn about Alien tool, a package convert application which lets you convert .deb packages to .rpm and vice versa. Have you ever found yourself in the situation where you are able to discover package available for one type of Linux operating system, say Debian, but you actually need it for the other type of system, say RHEL? Sure you do, if you are a system administrator and work on Linux systems on daily basis. This is where Alien comes to your rescue, it gives you power to convert the .deb package file to .rpm and .rpm to .deb so you may carry out installation of your desired program with ease. Disclaimer : Please use the following conversion utility on your own risk and make sure to backup your system before attempting to install any converted RPM or DEB file. Linuxpitstop.com will not be responsible for any problems encountered due to this operation. 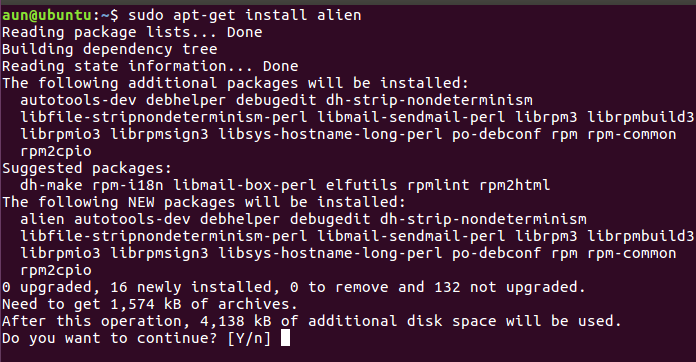 Let’s see how to install Alien utility on Ubuntu 16.04 operating system, following set of instructions should work for any older versions of Ubuntu too. 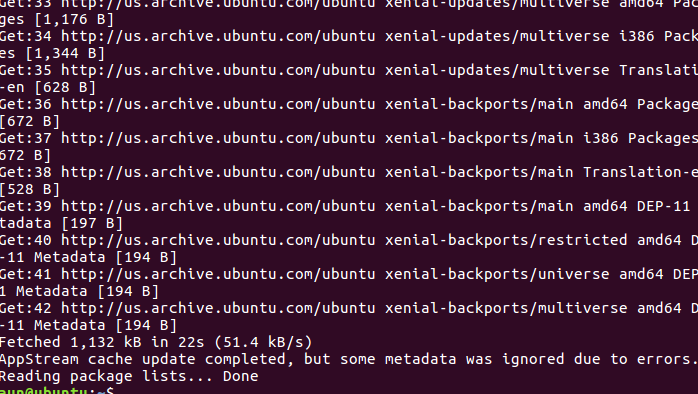 First of all, make sure to update your system using APT package manager. Our Ubuntu system is now all set to install this utility, simply run following command to install it. Side Note: Alien is includes in package manager repositories for RHEL based systems (RHEL, CentOS, Fedora) and Debian, on RHEL based system you can use YUM package manager to install it using following simple YUM command. Congratulations! Alien has been installed on our system now, lets go ahead and try to convert files from one format to another. Let’s assume we have an already downloaded RPM file named “squid-3.1.23-9.el6.x86_64.rpm”, located inside /opt directory. We wish to convert it to DEB format so we may use it on Debian or Ubuntu systems. Here is the command to achieve this task. Make sure that you are in the same directory where this .rpm file is located so that alien command should not throw “File not found” errors. It will immediately convert our specified file to DEB format and new file will be visible there. Following success message will be displayed upon the completion. In order to convert .DEB file to .RPM, we need to use alien command with “-r” switch. Here is exact command. That’s it, if your RPM or DEB file is very large in size, then you can expect Alien to take few seconds to complete the conversion process. Alien is a free, lightweight, easy to use utility, it is a must have tool for system administrators as it provides a unique and smart way to overcome the problem of package unavailability. But be careful while using this utility, as it is still not recommended for installing core operating system packages.